Named for the â€œNotorious Belle of Baltimore,â€� Elizabeth Patterson Bonaparte, this shawl is torn between two worlds. It is both delicate and sturdy, beautiful and practical, lacy and cabled, stylish and yet timeless in its appearance. 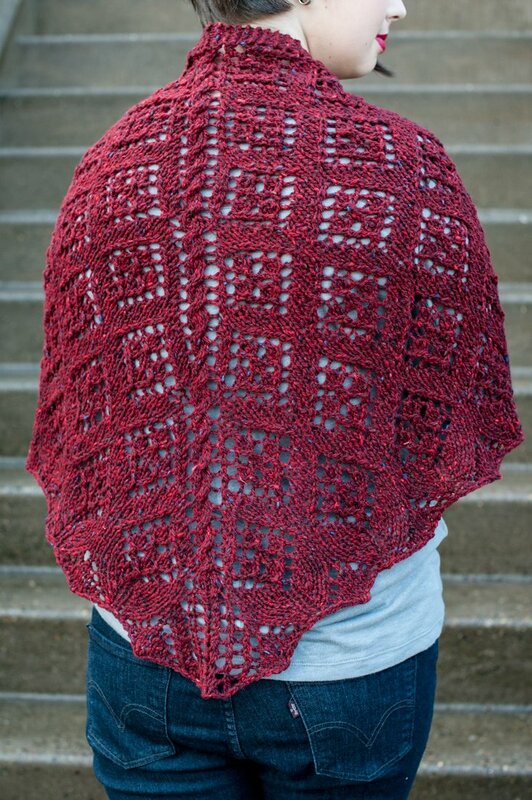 This shawl evokes Elizabethâ€™s delight in the finer things in life. The soft merino wool coupled with â€œexoticâ€� Estonian patterns and lush colors is worthy of any would be Empress. I like to think that Elizabeth would have also appreciated the weight and warmth of this shawl during cold Baltimore winters.